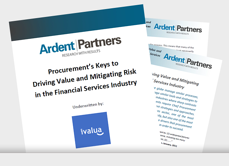 What is your company doing to drive value and mitigate risk? 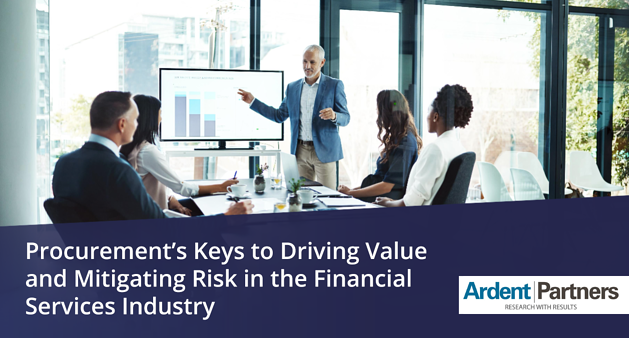 With heightened levels of regulation, competition, and risk, procurement departments in the financial services sector, by and large, are more heavily scrutinized. The procurement team’s performance, and that of their suppliers can have a more significant and direct impact on both the top-line revenue and bottom-line profitability.